Hi there, love! How’s it going? I’m getting excited about the upcoming holidays, so I am preparing a lot of my Holiday outfit ideas to share with you this year. Our family took a trip to Japan, so I did a lot of photoshoots there. The weather was nice and the scenery were different than our AZ desert, so it would be interesting to see how they turn out and how you will like them. I hope you will enjoy my holiday outfit series this year. Today I will start with this green velvet jacket I got from Missguided. They don’t have a lot of sizes left so I linked a lot of pretty ones for you below. 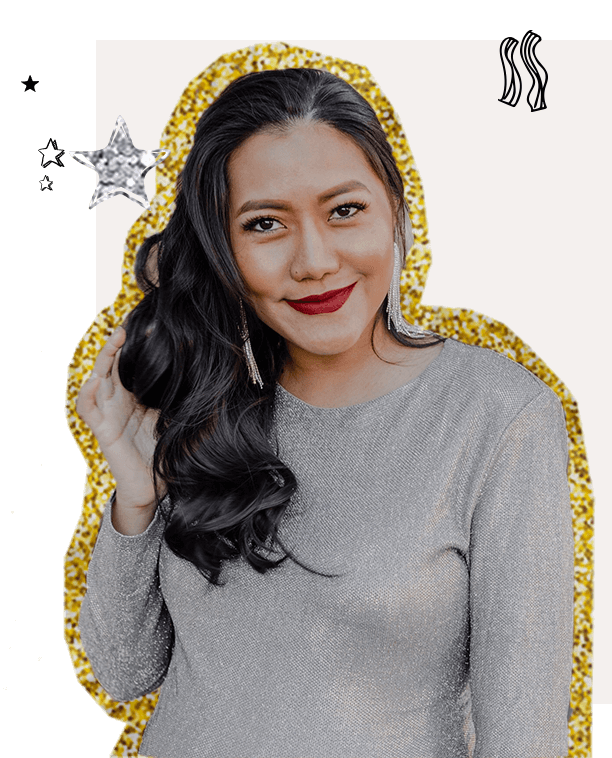 Talking about the Holiday Seasons, one fabric that came up in our minds when deciding on a holiday wear like Christmas outfits and other holiday party outfits was Velvet. Because it is one of the most popular fabrics during the holidays not only because it’s a gorgeous fabric, but it also keeps you warm during the cold season. Velvet comes in various shades and colors but the most popular colors for the holidays has to be green, red, gold, black and white. I’m picking green because it’s a super gorgeous color that screams Holidays to me. 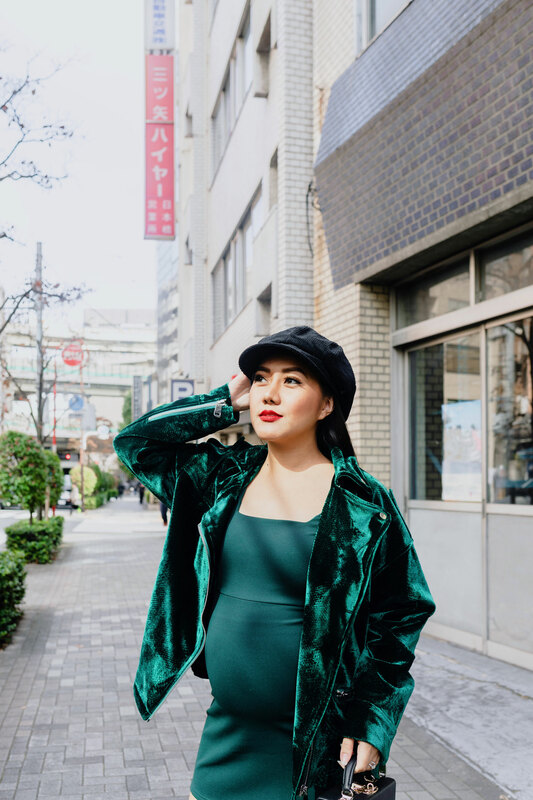 The way how I pair my velvet jacket is with some simple cut pieces, like this green mini dress I’m wearing. You can wear it with long pants and a turtle neck sweater or anything thats not too over the top. I would recommend keeping everything simple to show off your pretty velvet jacket. Socks boots are also on trend since last year so I’m wearing my outfit with these black socks boots, added a newsboy cap for a fun look and carrying my Pop & Suki box bag to complete the look. That’s it for today, simple and easy. You only need to find the right velvet jacket and pair it with your current simple cut pieces in your closet. Let’s start your holiday off right and make the best out of your holiday outfits this year. Thank you for stopping by my blog today. If you haven’t checked out my Holiday Gift Guide: Clean Makeup Gift Box, don’t hesitate to check it out! There will be more holiday content coming soon.